The manager of a Richmond radio station that broadcasts a show by Joseph D. Morrissey said he has reached out to state Sen. Rosalyn R. Dance with an offer for her own show, but the senator said she never has received a formal offer for the broadcast. Not that it would matter, because Dance added she would not accept it, anyway. She told The Progress-Index that she would rather devote her time between now and the primary to knock on doors and talk one-on-one with district residents. John Fredericks, general manager of Goochland-based WJFN-FM 100.5, said this week he sent a letter to Dance, D-Petersburg, proposing “The Roz Dance Show,” a two-hour talk program that would run Tuesdays to Fridays between April 28 and June 11, the day of the Democratic primary for the 16th state Senate district. Morrissey, a former Richmond prosecutor, and state lawmaker, recently announced he would challenge Dance in that primary for the nomination. Read the full report from The Progress-Index. While some never-Trumpers remain, and perhaps some have faded away, most have been converted and show the zeal that comes with such conversions. 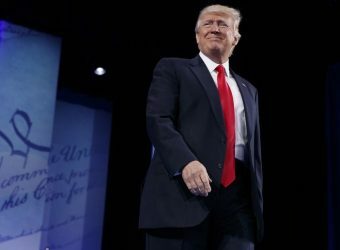 His supporters now say Republicans need to bend to Mr. Trump’s brand of populist-nationalism or get left in the dust. CPAC-goers say part of their reticence in those days was based on the president’s past, with proclamations of support for gun control and abortion rights, coupled with a brash businessman’s personality and a scorched-earth approach to politics. Read the full report from The Washington Times. 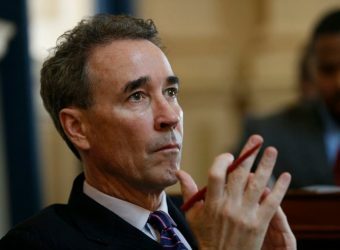 As a challenger, Morrissey could benefit if Northam, Fairfax and Herring — hampered by scandal — are unable to raise money for incumbents such as Dance, said John Fredericks, the conservative radio host whose network also features a show hosted by Morrissey (his theme music is the soundtrack from “Rocky”). On Monday, Sens. Mark R. Warner (D) and Tim Kaine (D) sought to reassure Democratic lawmakers in Richmond that they would step up to help with fundraising now that Northam, Fairfax and Herring may be political liabilities. Read the full report from The Washington Post. President invoked emergency powers after Congress didn’t fulfill request for $5.7bn to help build US-Mexico border wall. However, John Fredericks, a syndicated radio talk show host and member of the Trump 2020 campaign advisory board, said Trump’s declaration is justified. “This is an emergency and the president is ultimately going to be successful in securing about an additional $8bn towards the barrier and the wall that he’s advocated for,” Fredericks told Al Jazeera. 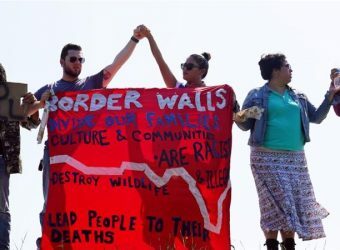 “This is a frivolous lawsuit brought by the 16 democratic states that basically want an open border situation so they can have additional people come into the US – undocumented, illegal and eventually turn into Democratic voters. That’s what this argument is about. Everybody sees through it. “The amount of illegal immigration crossings with these caravans coming up is increased dramatically. We have gangs, we have violence, we have drugs,” Fredericks added. Read the full report from Al Jazeera News. LEON — It’s for real. Culpeper County resident Tina Freitas is running for the 24th District Virginia Senate seat held for two decades by Emmett Hanger, R-Mount Solon. Freitas, the 40-year-old wife of GOP state Del. 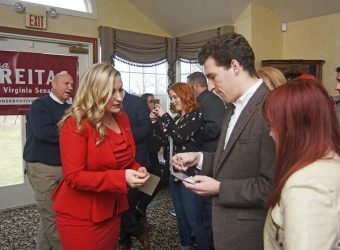 Nick Freitas, announced her candidacy Saturday at rallies in Madison and Augusta counties. Republican radio host John Fredericks, who chaired President Donald Trump’s 2016 Virginia campaign, already has dubbed them a “power couple.” If she is elected, they may become the first husband-wife duo to serve concurrently in the General Assembly. Read the full report from the Daily Progress. The Republican Party isn’t immediately positioned to profit from its unexpected good fortune. The GOP’s state affiliate is in shambles, and the Trump campaign, although it has time to ramp up, isn’t entrenched on the ground. 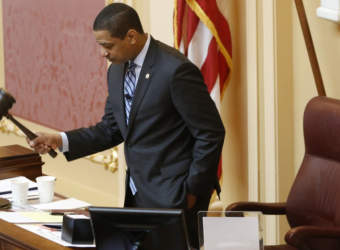 That could hinder Republican gains in upcoming elections, even as a Democratic meltdown loosens what appeared to be a liberal vise grip on Virginia voters. 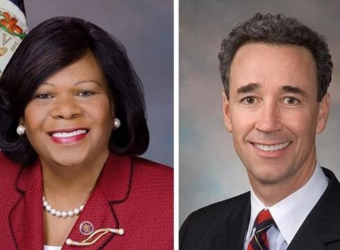 Virginia politics was turned upside down this month when it was revealed Northam’s page on his mid-1980s medical school yearbook included a racist photograph of two people in costume, one dressed as a Ku Klux Klan member and the other wearing blackface. A few days later, Herring admitted to donning blackface as part of a costume, which also happened decades ago. Read the full report from The Washington Examiner. It’s a rare moment of optimism for Virginia Republicans at a time when their party is down and out nationally, still hurting from the midterm elections when they lost control of the U.S. House. Gov. 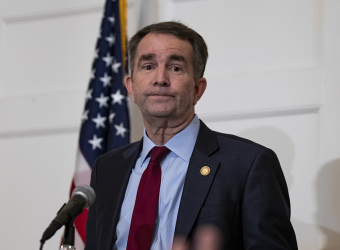 Ralph Northam came under fire a week ago when his 1984 medical school yearbook page surfaced showing men wearing a Ku Klux Klan robe and blackface. Read the full report from Politico. Imagine for a moment that someone in your family experiences a sudden medical emergency. It’s happened to my loved ones. It’s probably happened to someone dear to you. In that moment, your first reaction is a mix of fear, anxiety, and sadness. And then, in an instant, one thought takes over: The urgency of finding the best care without delay. When the crisis is over, you feel a sense of relief and gratitude that your loved one received timely, skilled medical care when it was needed. But sometimes, there’s a post-emergency shock that arrives when people learn the insurance company won’t pay its fair share of the bill for their emergency care. It typically occurs when an insured patient receives care from a health care provider who is not in-network with their insurer. This year, the General Assembly is considering legislation to protect patients from balance billing. President Trump is also focused on it; he recently called for a solution that shields patients from harm in those situations. Del. Lee Ware of Powhatan County is leading the way on this issue by carrying a bill to protect patients from the hardship of unexpected medical bills. His proposal simplifies a complicated situation by asking more of health care providers and insurers. In emergency situations when patients don’t have a chance to check if a provider is in-network prior to treatment, Ware’s HB 1714 establishes a fair standard for all parties involved. 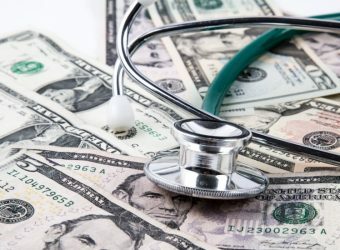 The bill specifies that patients won’t be required to pay an out-of-network provider more than their typical cost-sharing payment (such as an out-of-pocket deductible or a co-pay) for in-network treatment. Rather than leaving patients on the hook for the balance of an unexpected medical bill, it would require insurance companies to pay an equitable share of treatment costs that are consistent with the in-network value for a service. 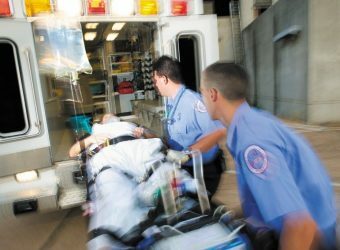 Another protection in the bill would apply to patients who seek emergency services believing they are experiencing a serious medical episode that later turns out to be less serious than initially feared. In such cases, an insurance company would be prohibited from denying coverage for a patient’s medical claim after the fact. Ware’s bill has widespread support. The only significant opposition to it comes from mammoth insurance companies. They prefer HB 2544 from Del. Kathy Byron of Campbell County, which may be well-intentioned but it gives insurers more leverage in balance billing situations. The idea that a person with insurance should be covered for medical care they receive seems so obvious that you might wonder why this is even an issue. The fact is, there are several market factors at play. One is a shift in how people pay for health care services. You may have noticed that more insurance plans have moved from co-pay plans to high-deductible plans with health savings accounts. The goal of that is to limit insurance costs by shifting them to patients and decreasing health care utilization. Another consideration is the complex relationship between commercial health insurance and how providers, including physician specialists and the hospitals in which they work, are reimbursed. Although you might assume that the doctors who treat you in the emergency department are employed by the hospital, the reality is that many of those physicians who specialize in things like radiology and anesthesiology staff the hospital under contract agreements. The hospitals that work with those doctors want to uniformly be in-network with all the same insurers as the doctors on staff. Yet insurance companies ultimately determine which providers are in-network and the rate at which they are willing to reimburse providers for services. That means they have the power to deny insured patients’ claims, to limit patients’ access to providers who aren’t in-network and to set rates that don’t fairly reimburse health care providers for care rendered. Ware’s HB 1714 is a common-sense solution that protects patients and families from surprise medical bills while respecting the roles that providers and insurers play in the health care delivery system. And it is in line with the goals articulated by President Trump to bring more transparency and affordability to the health care system. Read the full report from The News & Advance. If you turned on the television in December the week before Christmas, you would have thought the U.S. was heading towards economic apocalypse. The legacy media seemed jubilant in reporting record one-day losses on Wall Street and bemoaned President Trump’s America First trade policies. But a strange thing happened. In record numbers, Americans let their feet and their pocketbook do the talking. They spent, and they traveled. As the U.S. economy continues to hum under President Trump’s leadership, a record number of Americans are expected to have traveled this holiday season. AAA forecasts that about 112.5 million people will travel by train, car, or airplane between Dec. 22 and Jan. 7, an all-time record that represents an impressive 4.4 percent increase over last year. There’s a very good reason so many people have hit the trail this Christmas: thanks to President Trump’s middle class tax cuts, the typical American family is saving more than $2,000 per year. For many people, those tax savings alone are enough to cover gas and airfare, with plenty left over for some extra Christmas shopping — which is exactly what Americans did during this year’s record-breaking Black Friday. According to Fortune, consumers spent a record $6.22 billion in online shopping on Black Friday, a 23.6 percent increase over 2017. Days later, Americans set another record by spending $7.9 billion online during Cyber Monday, a 19.3 percent jump from the previous year. The return of America’s prosperity is undeniable and is now clearly evident in almost every sector of the economy. President Trump’s insistence on slashing burdensome regulations and cutting taxes has led to the lowest unemployment rate since 1969, and the economy is on pace to exceed 3 percent growth for the year — the first time it has hit that milestone since 2005. The President’s aggressive stance on international trade is also having a positive economic impact by ending unfair trade arrangements that gave foreign workers an advantage over Americans. Trump’s critics call it a trade-war with our allies. Trump says we’re done with letting working Americans get screwed on bad trade deals, regardless of the geo-political alliance at hand. A bad deal is a bad deal. 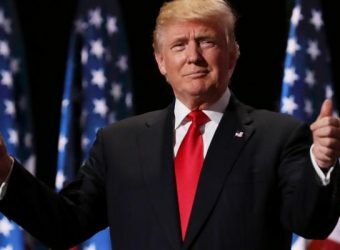 While the uni-party political establishment did nothing to address the challenges posed by the outdated NAFTA treaty, President Trump wasted no time in scrapping that agreement and replacing it with an updated trade deal, the USMCA, that finally gives American workers a level playing field. The President also made stunning progress in the decades-old trade dispute with China, sticking to a hard-line policy that recently forced Beijing to lower its tariffs on American-made cars by 25 percent. Sadly, the Democrats, Never-Trumpers and the mainstream media are obsessed with portraying our economy in a negative light because they don’t want President Trump to get the credit he deserves for salvaging our economy from the mess of the prior decade. When President Trump slapped much-needed tariffs on certain foreign products, the out of touch elites in Washington and their pressroom lackeys were quick to label the strategy “reckless,” inaccurately predicting it would lead to a “trade war” and economic devastation. Instead, we have record jobs, a burgeoning GDP and rising wages. Even when the President signed an executive order aimed at rebuilding some 8,000 economically distressed communities across America, the talking heads were quick to imply that the initiative was designed to somehow benefit the Trump family. The legacy media may distort the truth to advance a naked political agenda, but the prosperity created by President Trump’s policies speaks for itself. The more than 112 million Americans who spent money to travel to see family and friends this holiday season equal the record-setting number of Americans who now have jobs in this thriving economy. President Trump’s policies are clearly having a profound impact. Come April 15, the great lie of the Left and the legacy media-that Trump’s tax cuts will not benefit lower income and middle class Americans—is about to be exposed when lower taxes are due and bigger refunds are filed. Average Americans, however, know this already. That’s why they purchased-and traveled, in record numbers this holiday season. Read the full report online from The Roanoke Times.